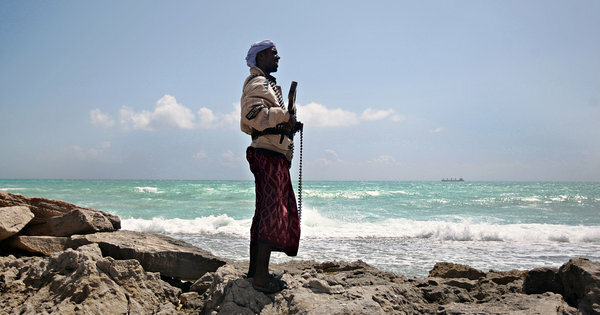 One of Somalia’s most infamous pirate lords has officially called it quits. Mohamed Abdi Hassan, who goes by the nom de guerre Afweyne, meaning “big mouth” in Somali, called a press conference to inform journalists of his decision. Afweyne led a feared pirate action group for nearly a decade, claiming several multi-million dollar ransoms and terrorizing countless captive crew members. He was allegedly involved in the hijacking of the MV Faina in 2009. The Faina was a Ukranian military transport ship carrying 33 Soviet-era T-72 battle tanks. That prize won Afweyne and his crew three million dollars in ransom. His group was also responsible for the 2008 hijacking of the Sirius Star, a Saudi Arabian oil supertanker, receiving several million in ransom. Somalia has been plagued by civil war, violence and instability for the past several decades, producing an environment where piracy does not only thrive, but exists as the sole option for many poor seafaring fishermen who have had their stocks plundered by foreign fishing vessels. Because Somalia has no acting central government, the citizens are left undefended from illegal fishing and dumping, and many have turned to piracy. And of course once pirates are active, Somalia maintains no coast guard to combat them with. In fact, the pirates are the coast guard. Piracy has only plummeted because of the international response. Increased naval patrols in the Indian Ocean, combined with the hiring of armed guards aboard merchant vessels has had a dramatic impact on the symptoms of this problem.